Climbing holy mountains is more than just hiking; it’s a practice for the soul and body. 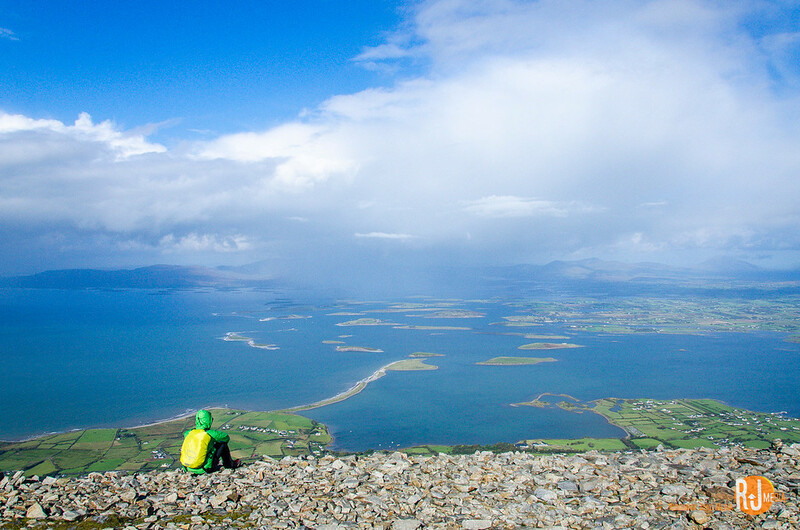 Croagh Patrick, Ireland’s holy mountain, is located in County Mayo, on the west coast of the country. 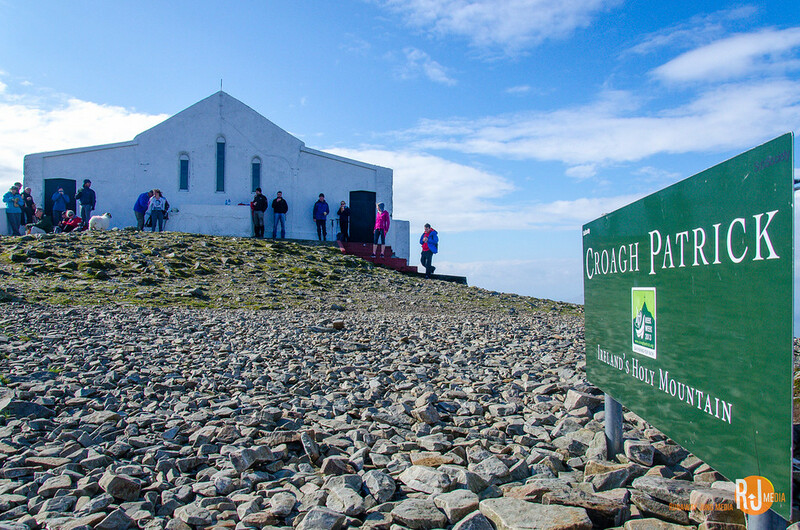 There’s a little chapel on the summit, called Teampall Phadraig, built in 1905. 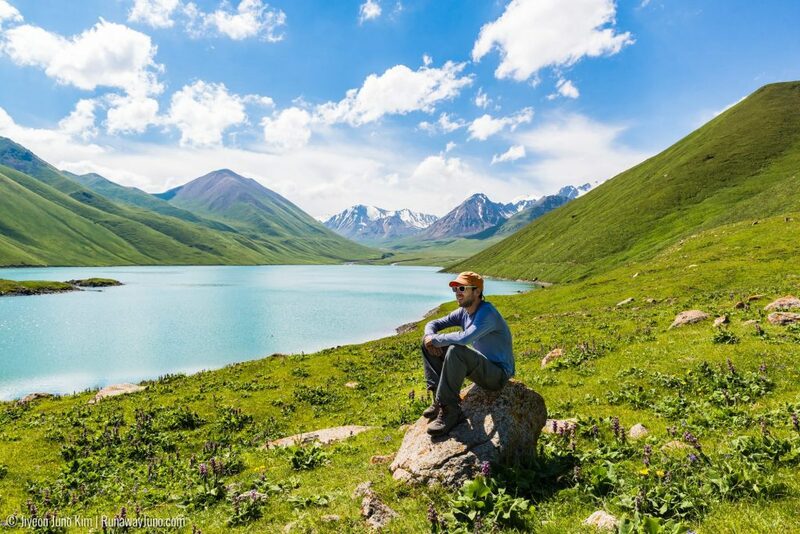 This 762-meter (2,500-feet) high mountain is known for its challenging rocky trails and fast-changing weather conditions. The history as a place of worship dates back as far as 3,000 BC. 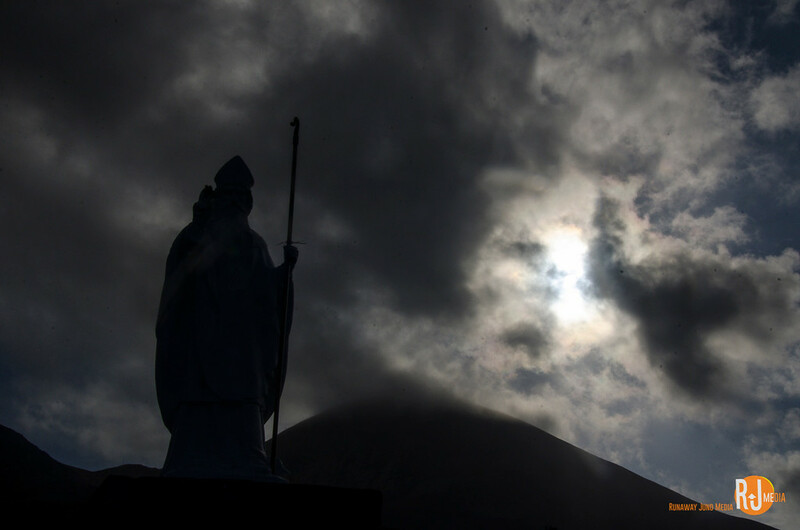 Legend says Croagh Patrick was also the place where Saint Patrick banished snakes from Ireland forever. Hence, the name. 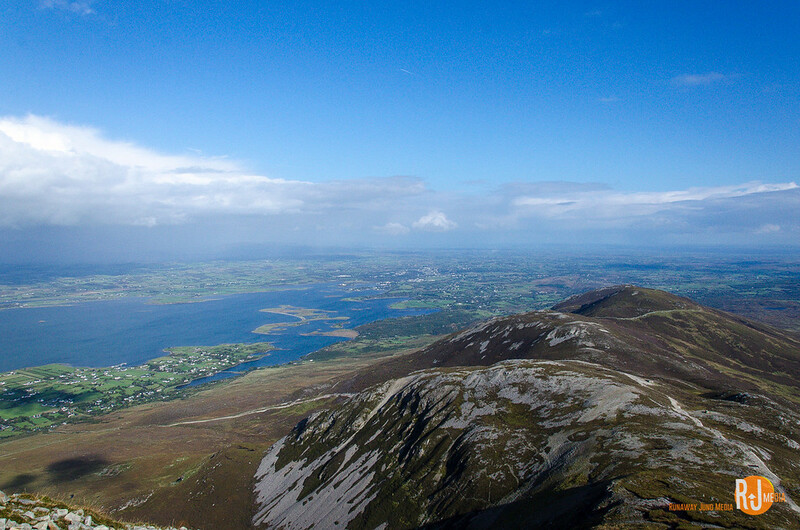 Croagh Patrick is easily reachable from the town of Murrisk, 8km outside of Westport. We were ready with our hiking gear including full-on rain gear and winter jackets. After four days in Ireland, we were already used to the fickly Irish weather. Luckily, the weather couldn’t have been better in the beginning. Every holy mountain has its own tradition. For example, at Emei Shan, the buddhist holy mountain in China, people walk two steps and bow and repeat the entire way. 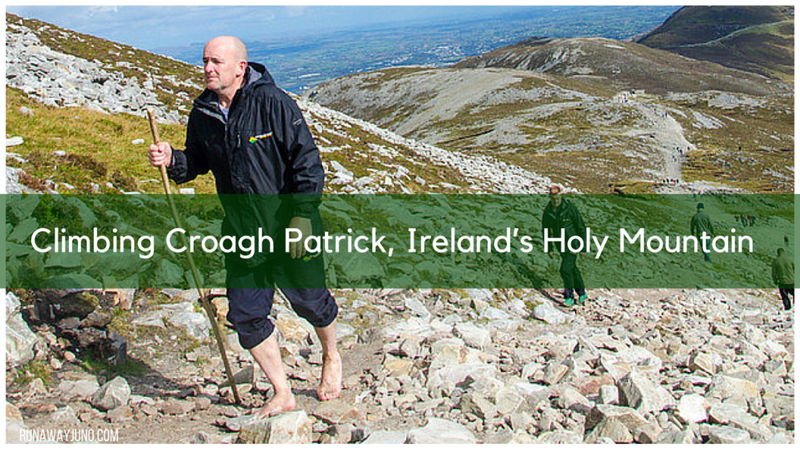 In Croagh Patrick, pilgrims walk barefoot. Our fearless leader Ciaran showed his Irish spirit by conducting this old tradition. It’s a challenging mountain to climb considering the height. The elevation gain is fast and steep. The trails are rocky and filled with pebbles and rocks that slide down with every footstep. 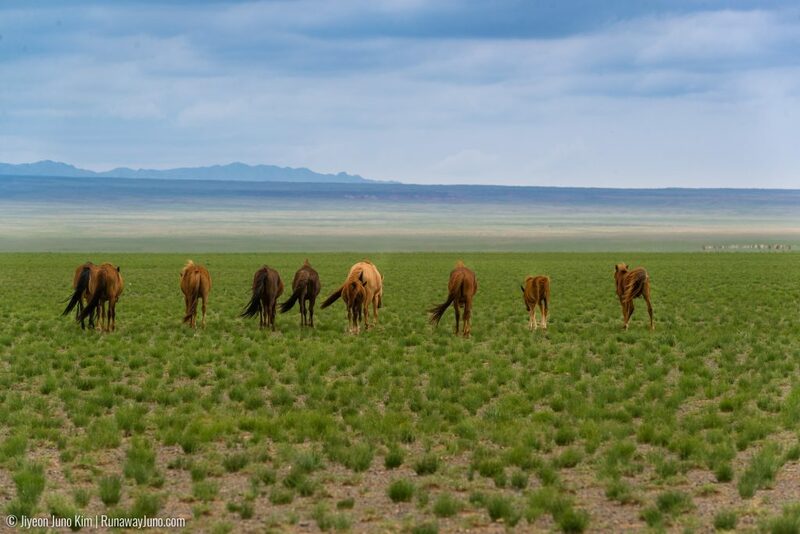 Weather is also another big factor. We started with blue skies, but it didn’t last long. Soon the sky turned gray and poured cold rain. That made the trail more difficult. We geared up with raincoats, and hurried our way up. The first third of the climb was straight uphill. Once we reached the ridge, the walk became more enjoyable. 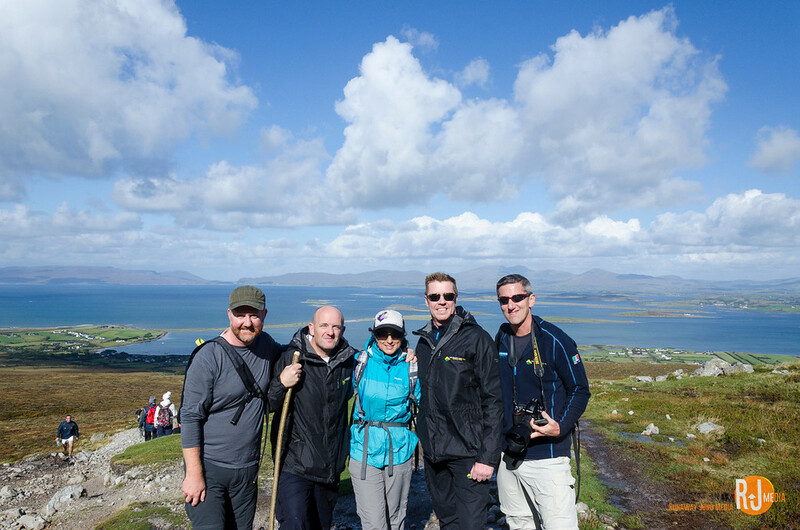 The great thing about hiking Croagh Patrick is that it rewards us with great views the entire way. 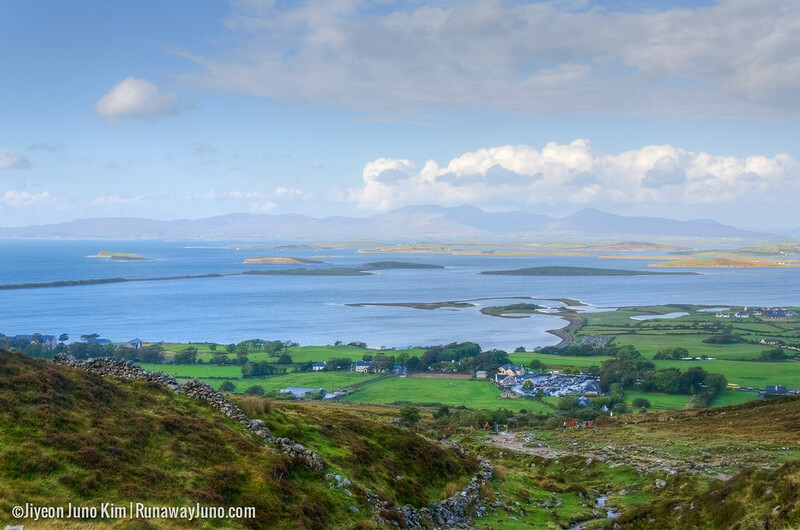 We were able to see Clew Bay and surrounding areas whenever we paused to catch our breath. But be careful not to spend too much time looking back; it’s a long way up. Like magic, we reached the summit after about two hours. The last bit of the trail was also very steep and curvy, so we couldn’t tell what was next. As they said, there was the chapel up on the hill. The view was better than ever. Maybe it was better because of the satisfaction. After a short lunch break, we started to descend. It was getting too cold up there. Going down was surprisingly much easier than the ascent. 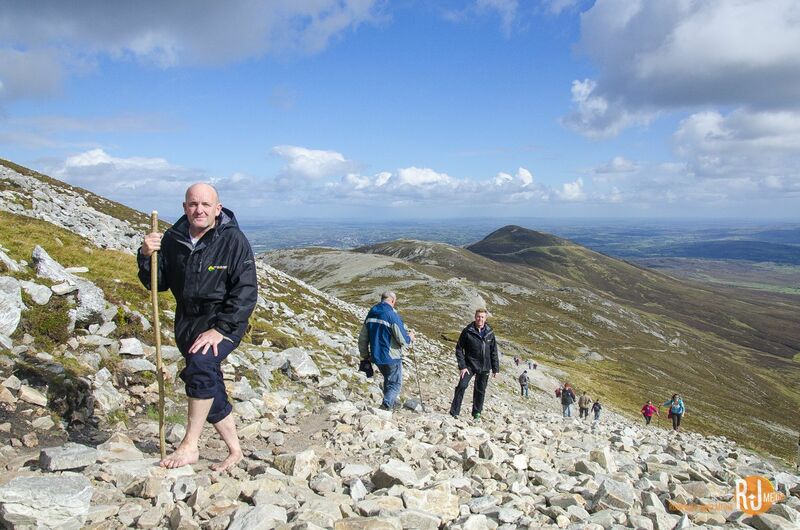 But I bet it was much harder for Ciaran, who was climbing without hiking boots. Everyone made it down safely through the sideway-blowing rain. I didn’t notice before that the statue of Saint Patrick was holding a shamrock in his hand. I felt like I made a real connection with Ireland. 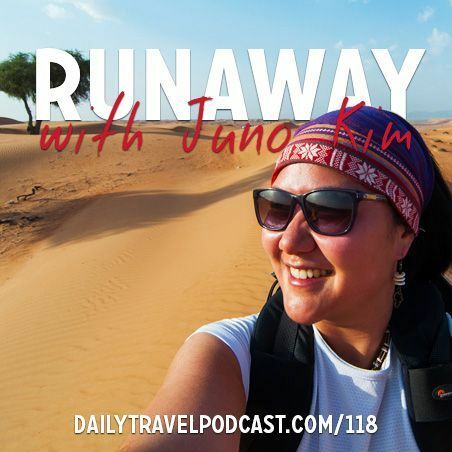 We shared the pain, joy, and spiritual moments together. 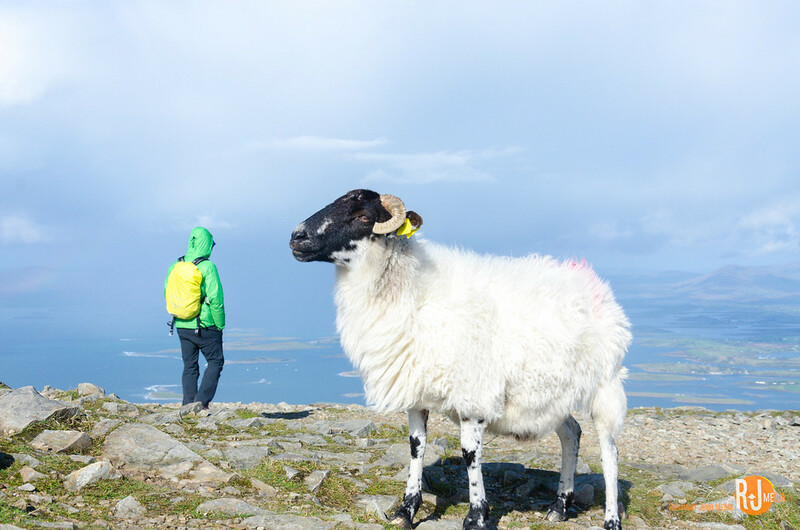 This is adventure, the Irish way. Beautiful pictures Juno, Ireland has such gorgeous scenery. 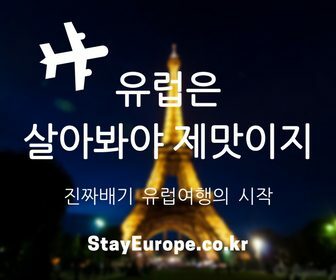 Did you try the barefoot version? No way I would!! How gorgeous!! I don’t know if I could hack that hike, but damn. What views!! I really wish I had done this when I was in Ireland! What a pilgrimmage. 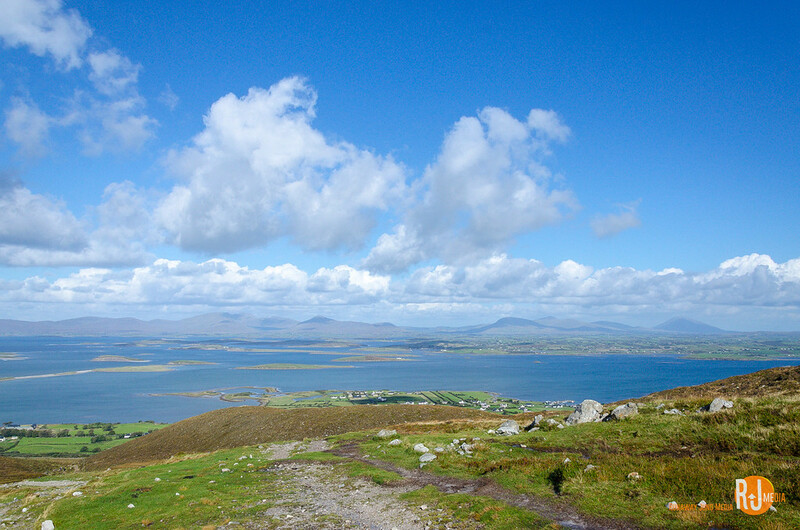 Ireland is such a beautiful place and somewhere that I think a lot of travellers overlook when planning their trips. The views from the top of this mountain are insane! 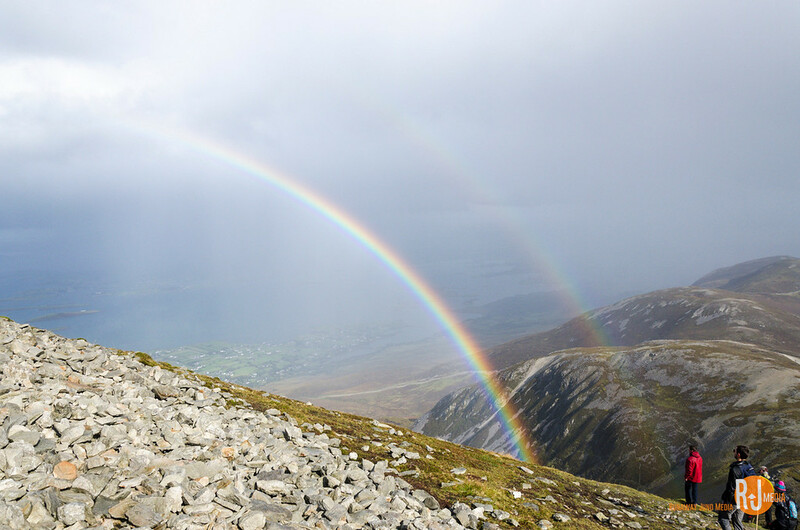 I love the double rainbows, looks like an overall very rewarding experience! 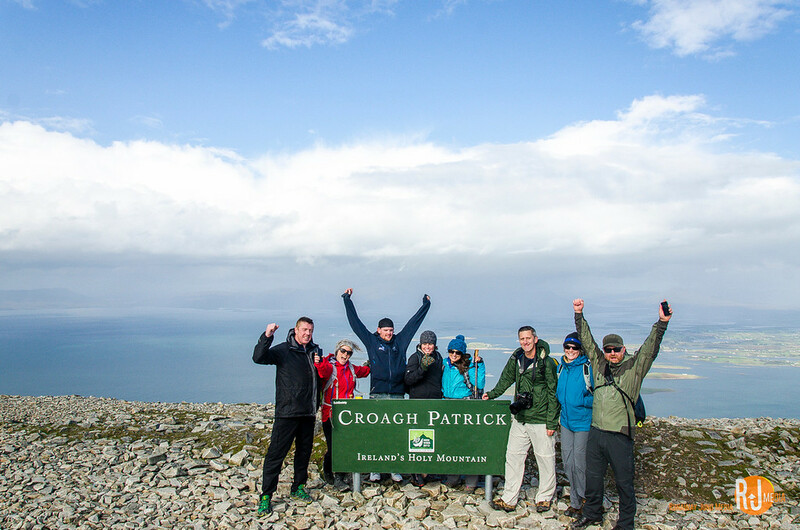 It seems like adventure and amazing experience climbing on Croagh Patrick mountain. I never heard before about that mountain. 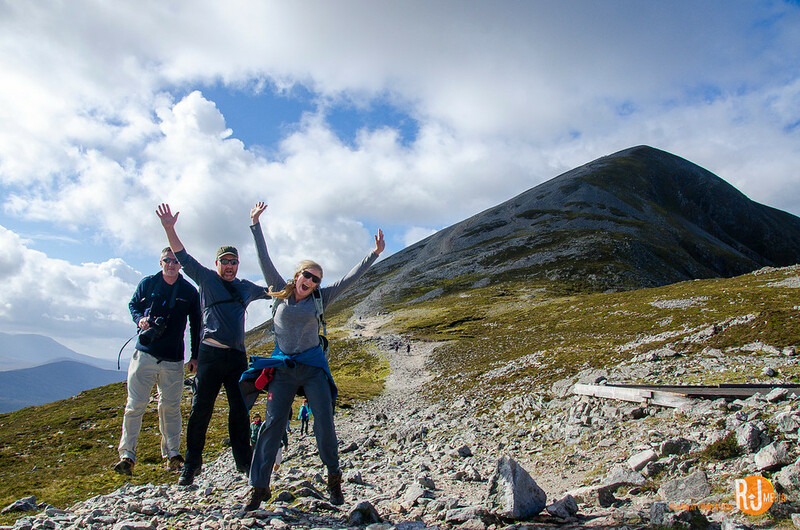 but your pictures describe more about Croagh Patrick Mountain. 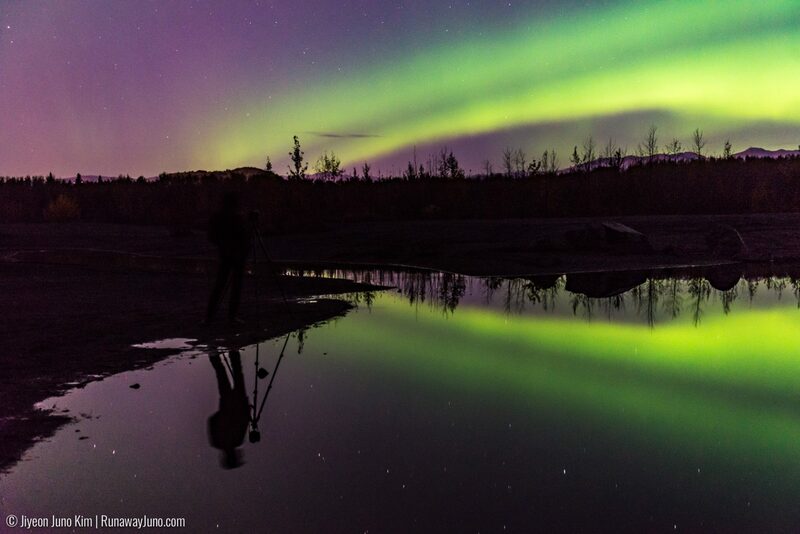 the rainbow pictures is marvelous.